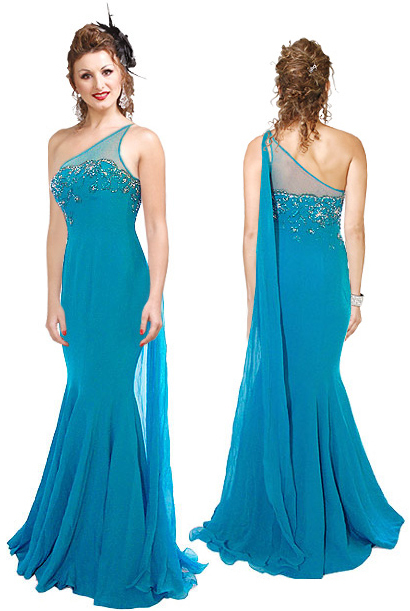 A classic ensemble which features a single shoulder pattern followed by an embellished bust line. It features a fitted skirt with trumpet bottom and slight trail to make it look regal. Pair it trendy necklace or a bracelet and to give the whole ensemble a royal look.